Our Twenty-Fourth Marin Senior Information Fair! 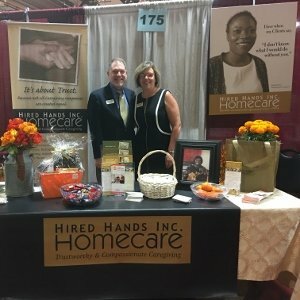 On Wednesday, Hired Hands Homecare joined many families, friends, Caregivers, Clients and industry partners at the Marin Senior Information Fair. Yes… it was our TWENTY-FOURTH Marin Senior Fair! It was a great day of seeing old friends, gathering useful information, and even getting the flu shot out of the way. And how great do Kirsten and Erick look?! ?